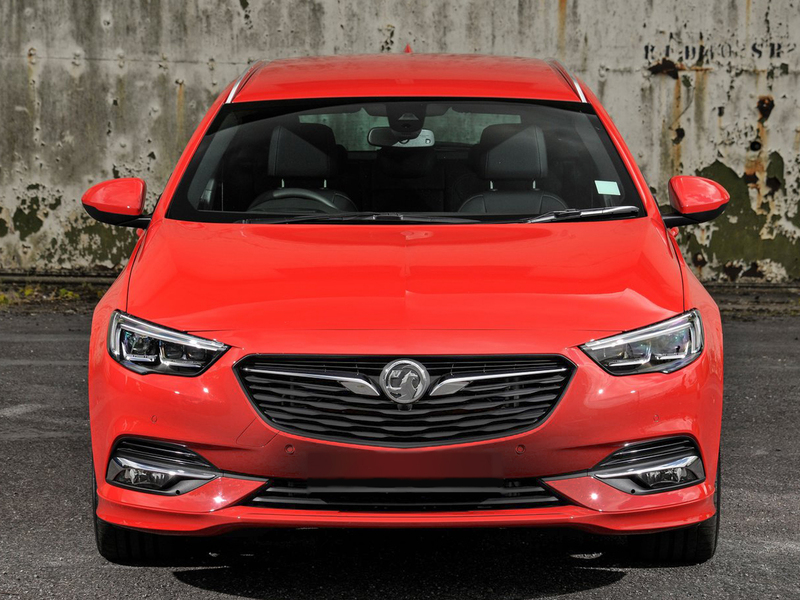 The Insignia Sports Tourer is an estate version of the Grand Sports model of Insignia and it delivers excellent practicality and comfort with better than ever build quality. The new Tourer has greater value for money as compared to its previous generation which was launched in 2009. Vauxhall has increased the size of its Insignia to facilitate the families. Who are looking for an excellent upmarket technology at highly competitive prices. The wheelbase has been increased by colossal 92mm to get the roomier interior. In the Tourer model, the boot capacity has been increased to 1665 litres with folded rear seats. This model has enough room to facilitate larger loads and it otherwise rivals the models like Mazda 6, Ford Mondeo and Skoda Superb estate. The driving experience of the new Vauxhall Insignia is also improved and it has an excellent fuel economy, riding comfort. And it also guarantees that you would make your mind to buy one trim if drive down for few minutes on the motorway. It is cheap in price but has a quality built version, frugal and well equipped. And it is just the one that managers require for their fleet. However, the even spacier rivals like Ford Mondeo, Skoda superb estate and several from German automakers are far better than the Insignia. But it doesn’t mean that Insignia is cheap, it has great value for money a buyer spent. The Vauxhall has given many engine options from petrol to diesel and almost all Vauxhall Insignia engines are super-efficient and fuel economical. Every engine from 1.6 litres Ecotec diesel capable of generating 110bhp to the 2.0-litre Insignia petrol engine. Which generates 260bhp and comes with all-wheel drive feature has second to none performance. It is the reality that the diesel engines have steadily been the natural engine alternatives for the Vauxhall Insignia models. But a new Insignia 1.5-litre turbo petrol engine might change this concept. Available in two power outputs of 140bhp and 165bhp. The 140bhp version of this engine is capable of producing 250Nm of torque. And is ready of accelerating from 0-60 miles per hour in 9.6 seconds. To going up to the top speed of 129 miles per hour. The 165bhp engine is a high power unit but has an identical torque on offer. It has a top speed of 135 miles per hour and takes 8.6 seconds to reach 62 miles per hour. Probably the most robust and fastest petrol engine in the entire engine lineup is the 260hp 2.0-litre turbo engine with all-wheel drive feature. This engine takes the sprint of 62 miles per hour in 7.1 seconds and a top speed of 152 miles per hour. It’ll without a question, be the quickest Insignia Tourer on sale and it has a rated torque development of 400Nm. The UK has the largest market of reconditioned Vauxhall engines and you can source one at highly competitive prices anyways. The diesel engines lineup starts from 1.6-litre turbo D Ecotec engines and ends at 2.0-litre turbo D Ecotec engines. The lowest power development is capped at 110bhp and 300Nm of torque. Where this engine takes 10.9 seconds to reach the 62 miles per hour benchmark speed. The top speed of this engine is 129 miles per hour. The range topper is 2.0-litre turbo D engine comes with 400Nm of torque. And 170bhp of power, takes 8.4 seconds to reach 62 miles per hour from a standstill and has a top speed of 137 miles per hour. But it reckons an effortless pulling on the motorway or even on the local roads.